Christina Paxson will succeed Ruth Simmons as president of Brown University (photo credit: Brown University / Patrick O’Connor). In November of 2000, Ruth Simmons was elected as the first female president of Brown University. Her presidency was also historic in that she was the first African American president of an Ivy League college. In 2001, shortly after she began her presidency, “Time” selected her as “America’s best college president.” She managed to secure an unprecedented amount of philanthropic donations and she made great efforts to expand Brown’s global reach. Also of note, she was cited in the Academy Award-winning movie “Inside Job” for taking in a salary of $300,000 from Goldman Sachs while serving as the Brown president. The movie expressed that this was a conflict of interest that should be rectified. 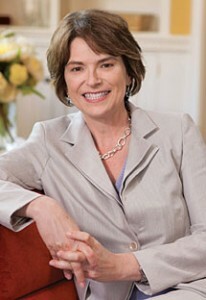 Do you think Christina Paxson is a good choice to succeed Ruth Simmons? What do you think about Ruth Simmons’ presidency? What do you think about Brown choosing consecutive female presidents after hundreds of years of sticking exclusively to male presidents? Let us know your thoughts on the matter by posting below!